Choice of 2″, 3″ and 4″ vane sizes. 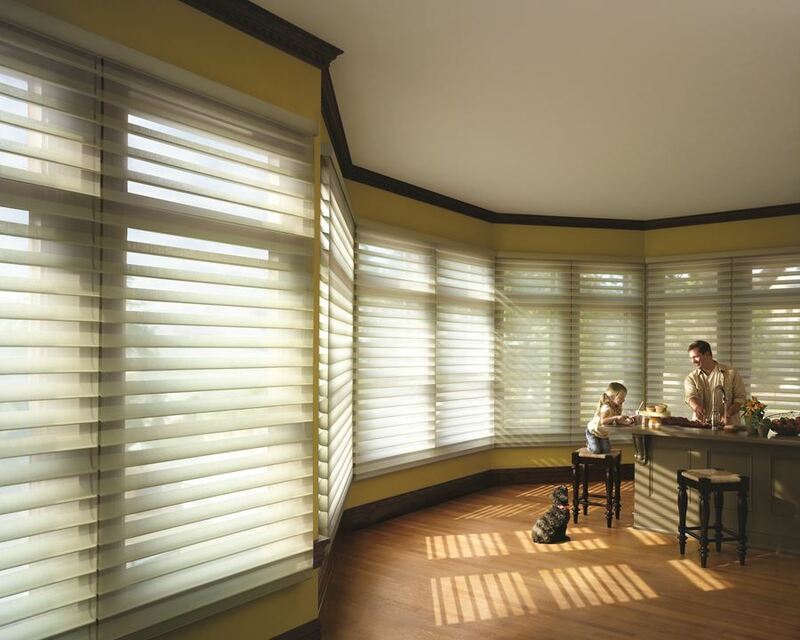 Silhouette® shadings can now cover windows up to 120″ wide by 120″ high. EasyRise™ lifting system is standard. Different fabric opacities provide light and privacy control. Soil resistant and anti-static fabric. Counterparts between Silhouette window shadings and Luminette® Privacy Sheers. Three vane sizes allow choices of scale and view-through. EasyRise lifting system with its continuous cord loop and clutch system makes it easy to lift even the largest shadings. Fabric vanes suspended between sheer fabric facings with different opacities for light control and privacy. Wide variety of colors and fabrics to fit any room decor. 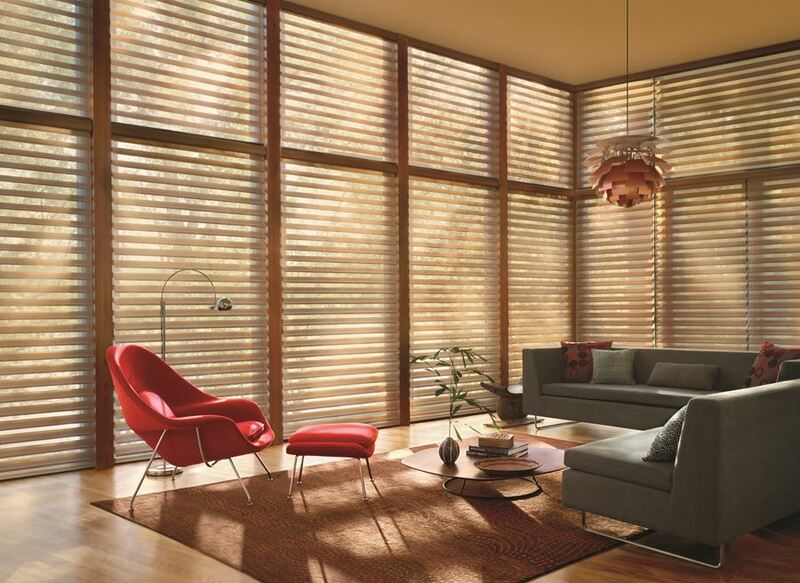 Silhouette fabric has an anti-moire patent that is proprietary to Hunter Douglas. The weave on the sheer front fabric facing is different than the weave on the rear facing, thus eliminating any wavy motion a person would otherwise see when looking through the shading.